Abnormal vaginal bleeding can be a sign of a condition that needs medical treatment. 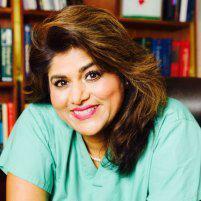 Consult Dr. Hetal Gor at Women’s Own OB/GYN if you’re experiencing bleeding or spotting between your normal periods. Treating patients in the area of Englewood, New Jersey, and and in the Upper Westside, New York, New York, Dr. Gor conducts a thorough pelvic exam, health history, and other screening tests to figure the correct course of treatment. Bleeding is considered abnormal when it occurs at a time you’re not expecting it, such as between menstrual cycles, when you’re pregnant, or when you’ve reached menopause. If your regular menstrual cycle is heavier, or lighter, than usual, the bleeding is also considered irregular. Of course, you may experience abnormal bleeding due to ovulation, IUD, or perimenopause; bleeding between periods may also occur with some oral contraceptives. More serious causes include uterine fibroids, pelvic inflammatory disease, possible miscarriage or another complication if you’re pregnant, polycystic ovarian syndrome, or infection of your pelvic organs. In rare cases, abnormal bleeding may be a sign of cancer. It’s best to contact Womens Own Ob/Gyn for any abnormal bleeding. Dr. Gor can rule out serious causes and offer treatment plans if necessary. A doctor’s visit eases your mind and catches any possible complications early. Let the doctor know about any associated symptoms, including excessive bleeding in which you soak a tampon or pad every hour for 2 hours or more often, pelvic pain, or lightheadedness. Definitely alert the staff if you are pregnant or believe you might be. These growths are noncancerous tissue masses that grow in the uterus, and sometimes within the uterine walls or on the outer surface of the organ. Oftentimes, they cause no symptoms. But, abnormal bleeding, pelvic pain, and persistent back pain indicate their presence. They may also be detected during a routine pelvic exam or through an ultrasound. Although fibroids are relatively common and benign, they can cause additional health problems, including infertility, anemia, and blockage of the urinary tract or bowels. Fibroids are usually a genetic condition or caused by hormone changes during pregnancy and the menstrual cycle. The treatment really depends on the determined cause and the severity of the bleeding. Dr. Gor may prescribe certain birth control pills or hormone injections, especially if you’re not wanting to have children in the near future. You may need surgery to remove fibroids, if present. Laparoscopic surgery for endometrial growths and even hysterectomy may be necessary in serious cases.